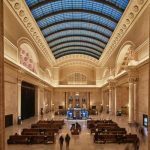 A major renovation campaign for the historic Chicago Union Station has culminated with the restoration of the Great Hall. 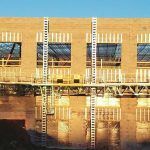 This $22-million project, which took more than three years to complete, is the latest in a series of major redesign and restoration projects that started in 2010. 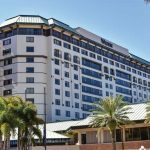 Located on the Gulf of Mexico, the building façade of the Westin Tampa Waterfront in Tampa Bay, Florida, is often subjected to the negative effects of rain, wind, high humidity, saltwater corrosion, bright sun, and soaring temperatures. Rapid fading and chalking of painted exteriors in the area is a problem that could be expensive and time-consuming to repair, as well as cause disruption to building occupants and visitors. 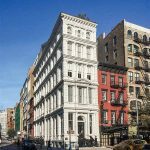 With the world’s largest concentration of full and partial cast-iron buildings, New York City’s NoHo and SoHo neighborhoods are treasure troves of historically significant architecture built during the second half of the 19th century. 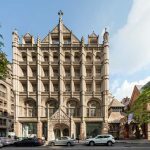 Fotografiska, the Stockholm-based photo museum, has selected the team of architect and designers who will transform the historic 281 Park Ave South building into Fotografiska New York. It will open in spring 2019, and offer photography exhibitions, restaurant and bar concept, and culturally eclectic event programming. Modern Masonry, a comprehensive e-book by The Construction Specifier, features need-to-know information for non-engineers about structural masonry.